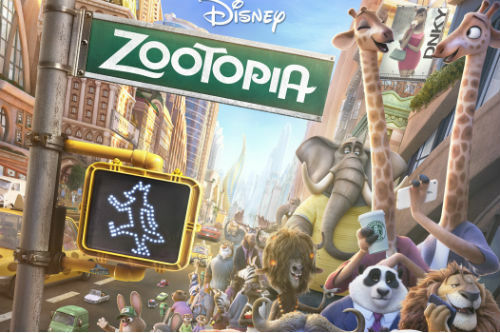 ▲ The Poster of "Zootopia"
[Judy plays recorded evidence] "... 200 bucks a day, Fluff. 365 days a year since I was 12." Judy: Actually, it's your word against yours. And if you want this pen, you're going to cooperate with my investigation on finding that missing otter, or the only place you'll be selling popsicles is the prison cafeteria. Judy: It's called a hustle, sweetheart. ▲ Nick and Judy from the movie "Zootopia"
*Zootopia is Disney’s animated adventure movie released in 2016. The story takes place in a world where animals live together in harmony. Judy, the main character, is a bunny cop who tries to solve the missing animal case with a cynical con artist fox named Nick. 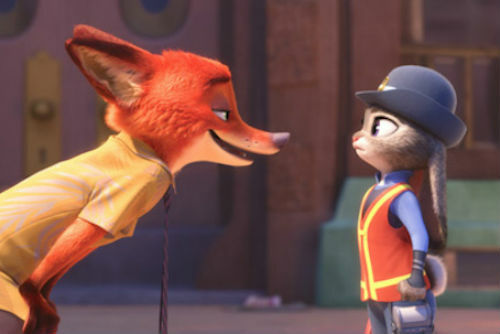 The way Judy and Nick uncover the case and diverse animals they have met on their way, shows us the right way to accept and understand differences.